Ensuring that they are accessing all relevant data from all sources to meet the needs of the organization—driven by the fear that they are not. Managing the “fire hose” of data that results from comprehensive data access. Rather than drowning in data, companies want to be able to focus on the data that is most important. Empowering users with focused, actionable information by making it simple for business users to query the data to quickly obtain the information they need. If an organization can step up to these challenges, it can achieve what data management is supposed to be all about: achieving a high degree of accuracy in assessing current conditions, studying past events and outcomes to spot relevant trends, and using insights from current and past occurrences to predict future behaviors. Security is the number one spending priority among IS and IT professionals. Security is also a big data problem. Threats to an organization can come from all external touch points and access points as well as from inside the organization. Maintaining the security of the organization and its data depends on accessing all relevant data about systems, processes, and transactions that could contain or provide an environment for security threats. 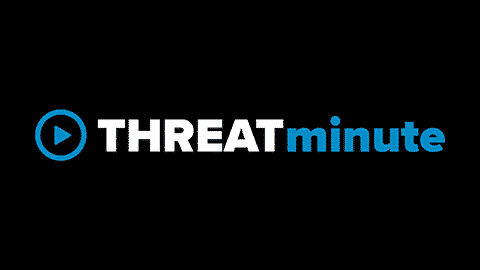 Processing and querying the data for solutions that either prevent threats from impacting the organization or counteract threats once detected is also essential. Organizations are valiantly attempting to protect against security threats, but they are at a severe disadvantage. The solutions they are deploying—driven by flawed technology and more seriously, flawed logic—cannot hope to keep pace with the vast and growing pool of potential threats. Conventional approaches to security are ineffective at guarding against threats, and the complexity they impose, both technologically and organizationally, render them unsustainable. Using Big Data to equip an organization’s security system with continuous learning, instead of a collection of known threat signatures, illustrates one of the core benefits of any big data implementation: letting the system help discover insights and answers one did not anticipate. Jeff Cotrupe is Industry Director for Big Data & Analytics at Stratecast, Frost & Sullivan. Jeff helps companies achieve their goals through technical sales, product marketing and management, and competitive intelligence; and by leveraging his expertise in big data and analytics to enhance operations, results, and customer experience.